A native of Wexford Town, Raymund who is a member of the R.I.A.I., set up his practice in 1982. Over the years the practice has grown considerably, and designs for Private Clients, Developers and Retailers, bringing innovation and practicality to each design solution, be it leisure, commercial or residential. 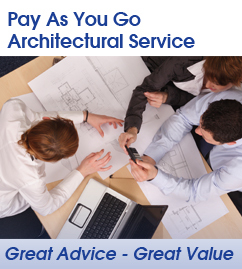 Raymund Kelly Architects is a practice where good design is supported by logical and prudent strategies and design. Sustainable design supported by responsible engineering, methodology and construction has become our trademark. We promote fundamentally sound architecture that focuses on the clients needs, who is encouraged to incorporate green building technologies whenever possible. With over 28 years experience we offer a very broad area of expertise on projects in the following areas: Retail, office, industrial, leisure, hotels, healthcare, nursing home, schools, residential developments, private dwellings and refurbishment and extensions. We use state of the art 3D design software, a great help for clients to see their project with photo realistic images. Preliminary sketch designs are prepared and provision made to incorporate best practice with regard to sustainable design. To ensure that energy usage is kept to a minimum, the project can incorporate energy management solutions and advice will be given in respect of lighting and heating to ensure that detailed specifications in respect of these important elements are included in tender documents.